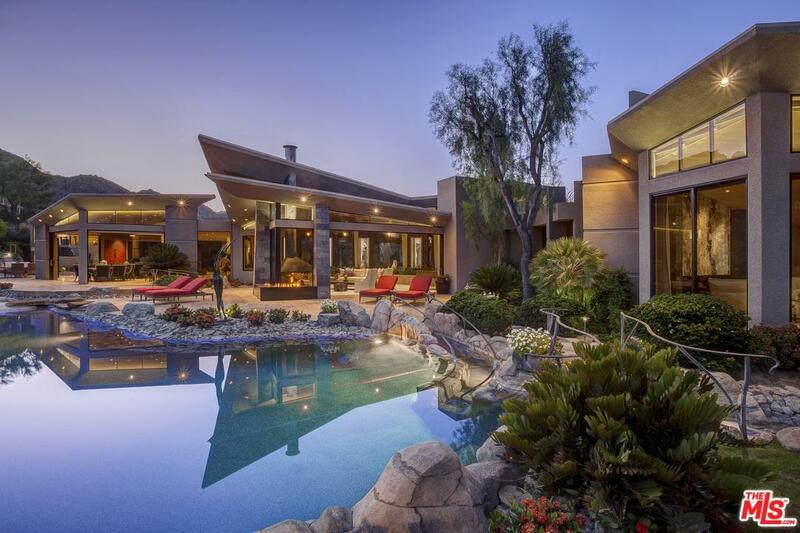 Welcome to award-winning Architect Guy Dreier's contemporary masterpiece at BIGHORN Golf Club. This 7BR+9BA golf fairway estate sits on a sprawling, 1.21-acre lot with multiple indoor / outdoor entertainment areas. 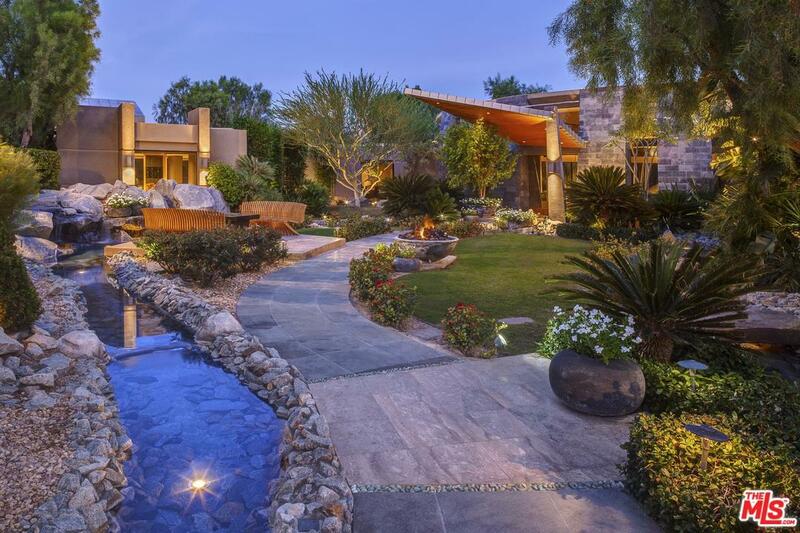 A mix of desert contemporary and Asian themes adorn this stunning architectural, featuring rock walls of lava, vaulted wood ceilings, floor to ceiling pocketing glass walls, flowing indoor Zen streams, and outdoor waterfalls, pools, & lush gardens. The master retreat includes a fireplace, spa-inspired bath w/ steam shower, outdoor bed, pool, spa, & fire pit. The 3BR guest wing features a private entry from the courtyard, & includes a living room, kitchen, outdoor patio, fire pit & spa. Guests may choose to stay in a private suite w/ patio, or in one of two detached studios, each w/ kitchen, sitting areas & bath. Media room, office, and gym round out the amenities. Professionally furnished by Marilyn Schwartz Designs. 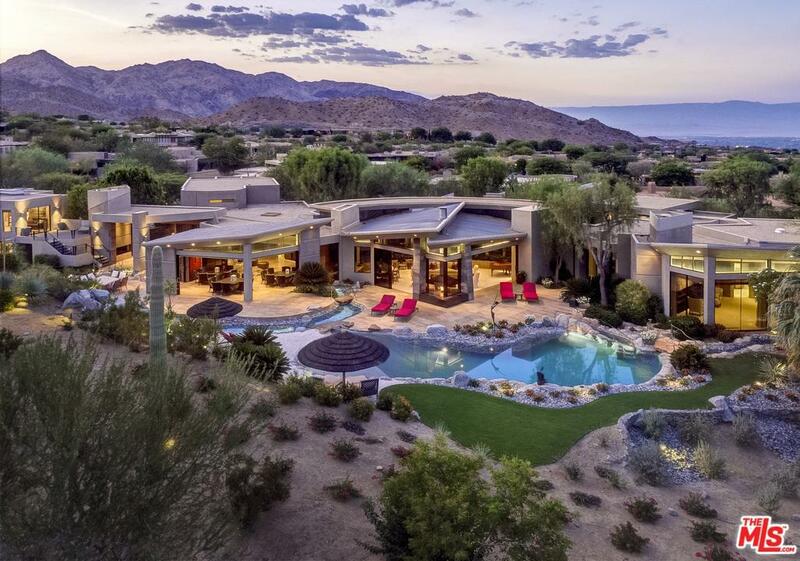 EPIC VIEWS of the mountains, golf course and valley. Sold by Nonmember Agentdefault BRE#01737527 of Nonmember Officedefault. Listing provided courtesy of Tony Berns DRE#01737527 of Coldwell Banker Residential Brokerage and Nonmember Agentdefault CA DRE# of .